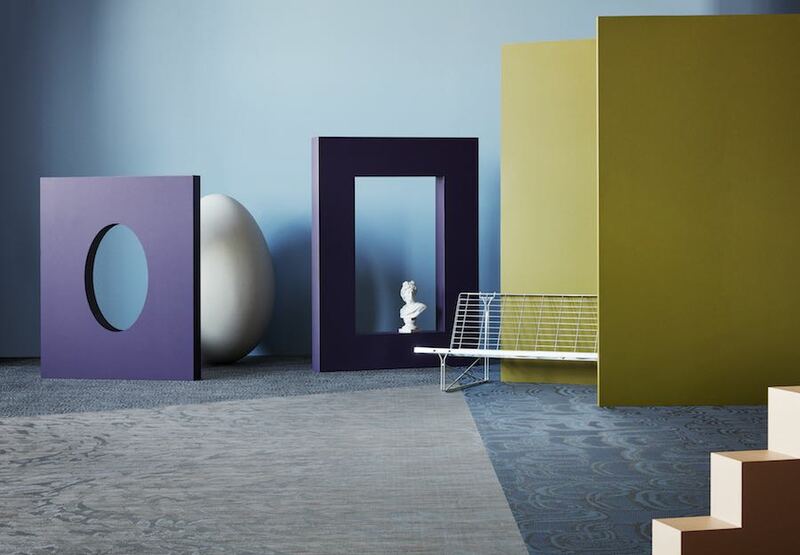 Bold nuances define Diversity, Bolon’s new flooring collection reflecting the plural design imprint of the Swedish company. 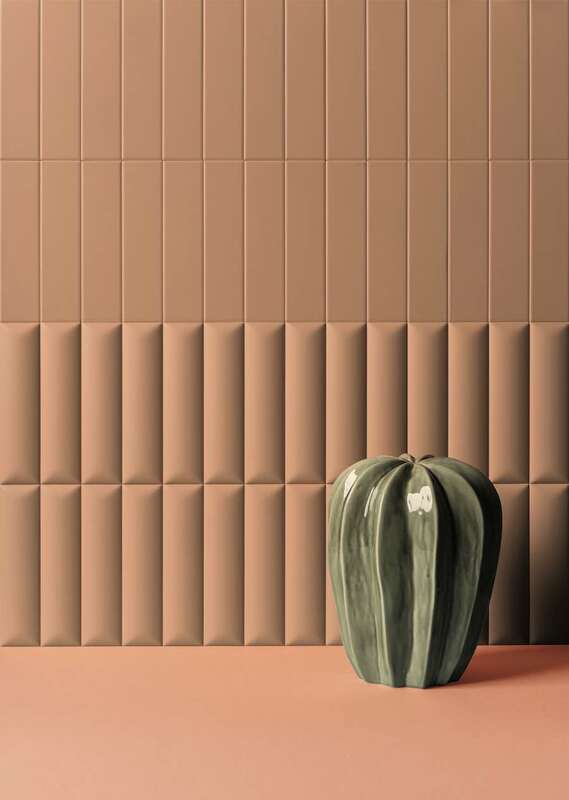 Italian design studio 41zero42 created biscuit-shaped ceramic tiles which can be composed like a recipe and a collection bringing home the solitary peace and the colours of Autumn sea-landscapes on Sunday mornings. 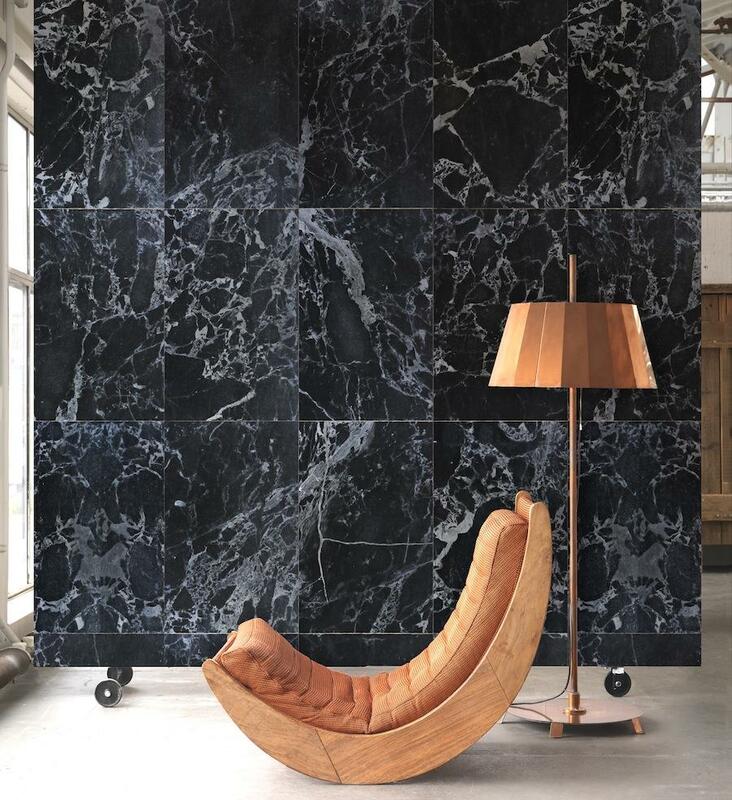 Augmented surfaces inspired by Pet Shop Boys hAugmented surfaces set in an installation inspired by Pet Shop Boys hits, memory lane mood by the hot-tub and oversized super thin slabs. 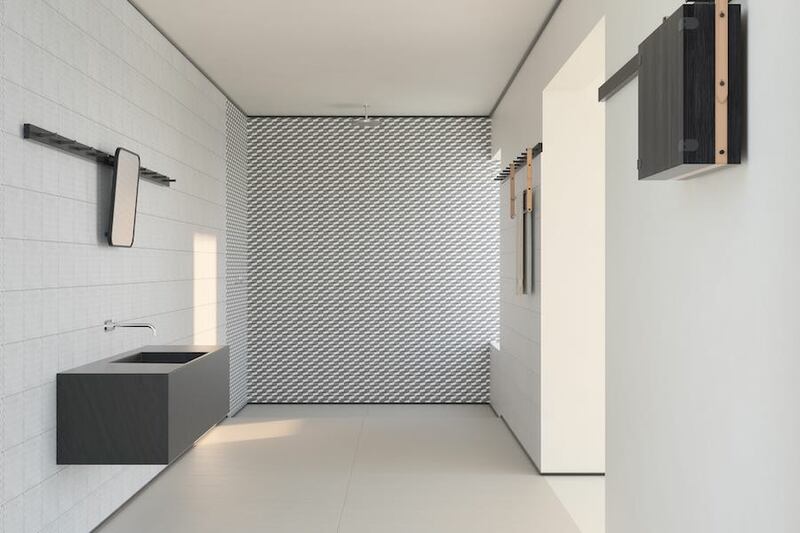 7 eclectic surface designs at Cersaie 2018. 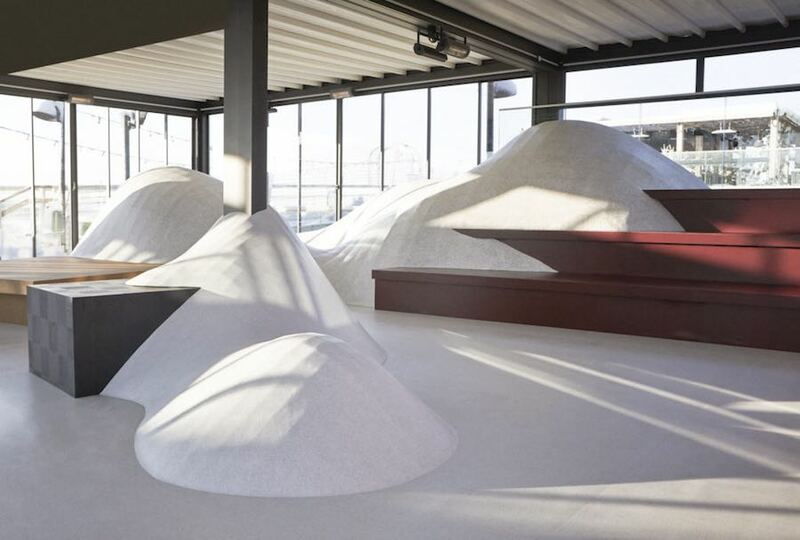 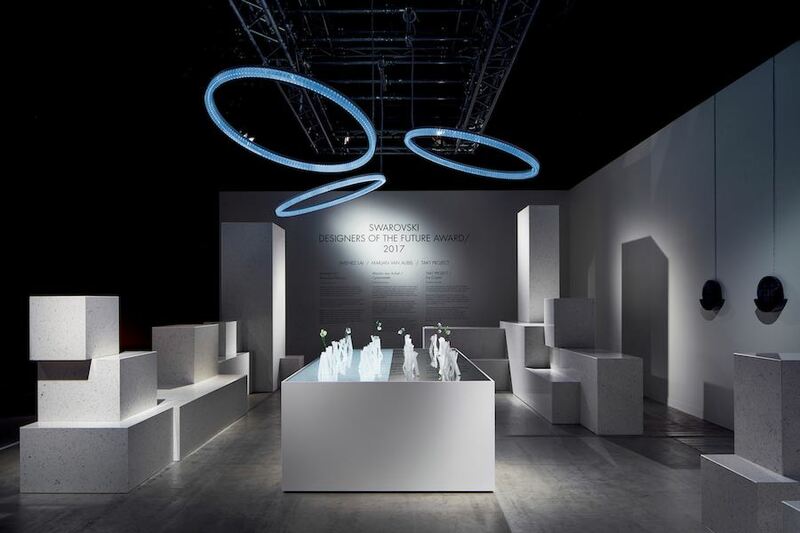 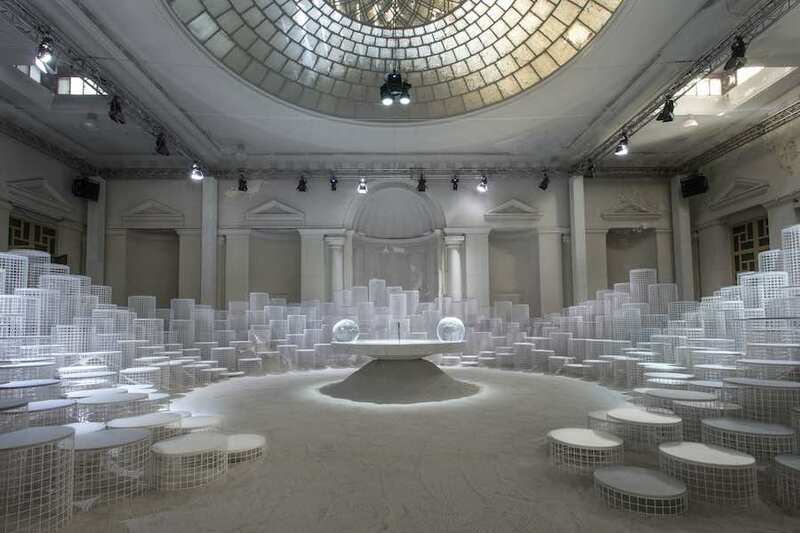 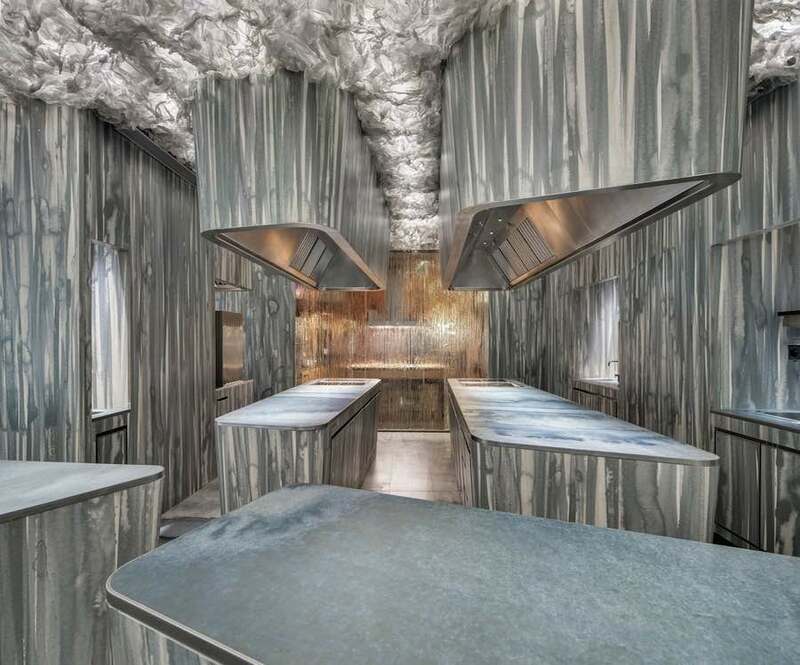 The “Altered states” installation by Snarkitecture for Caesarstone features a topographic and conceptual kitchen island surrounded by a white to grey arena. 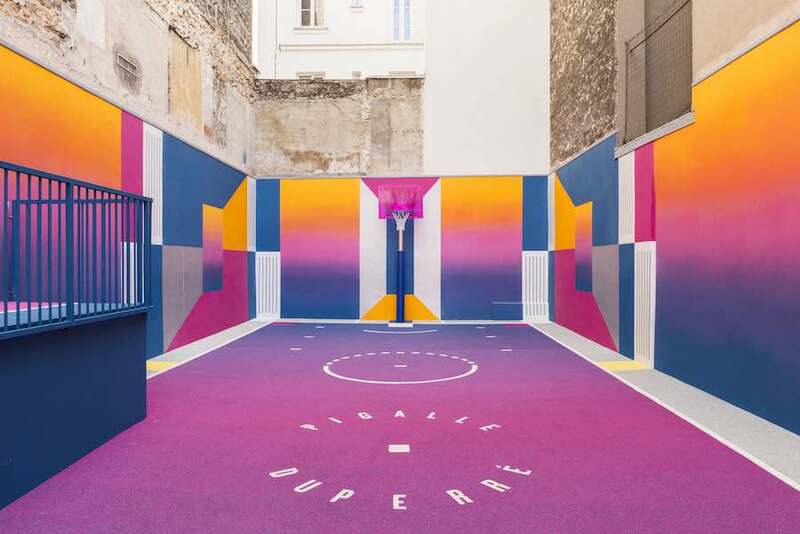 Brightly coloured walls and mind-bending geometric designs transform a Parisian basketball court sandwiched between a pair of apartment buildings into a futuristic sport venue. 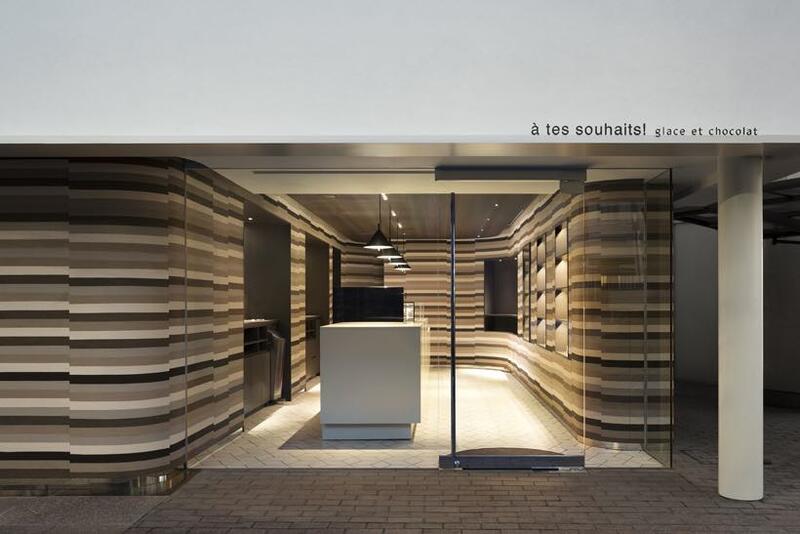 Nendo designed the cake-inspired interior design of a Tokyo icecream and chocolate shop with soft volumes providing a sense of softness. 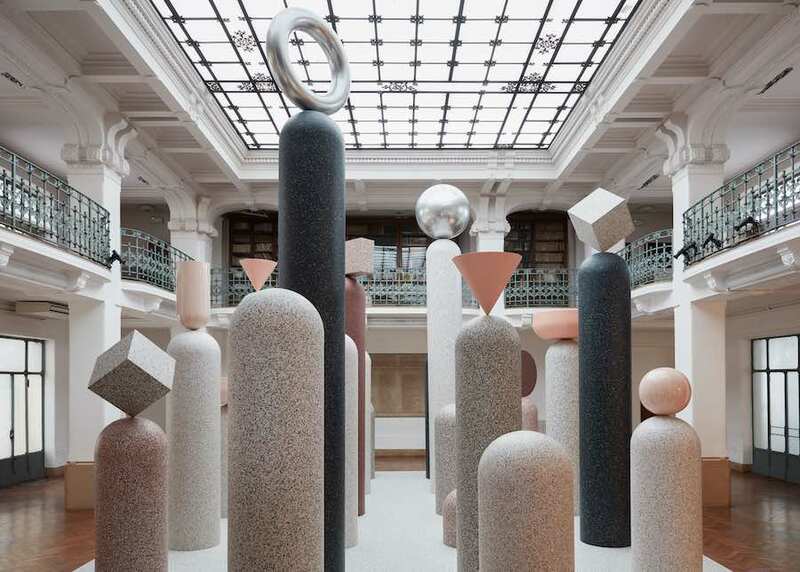 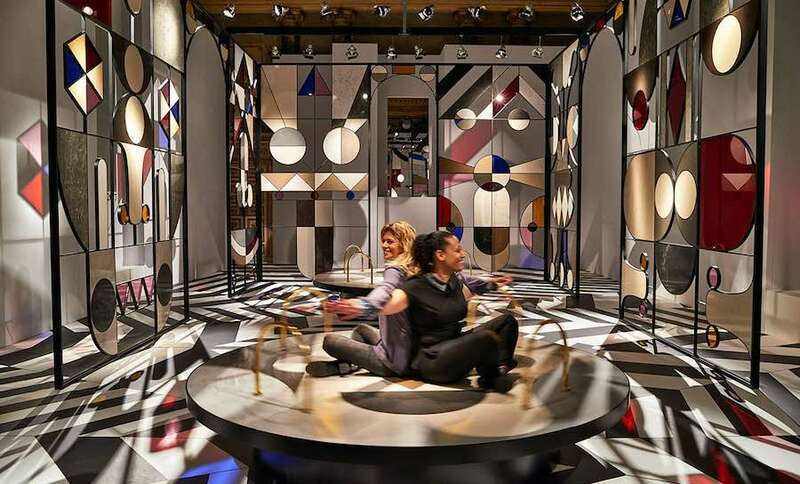 At Caesarstone’s Stone Age Folk exhibition, African masks and bird-like furniture by Jaime Hayon animate the halls and the ballroom of a Milanese Napoleonic Palazzo. 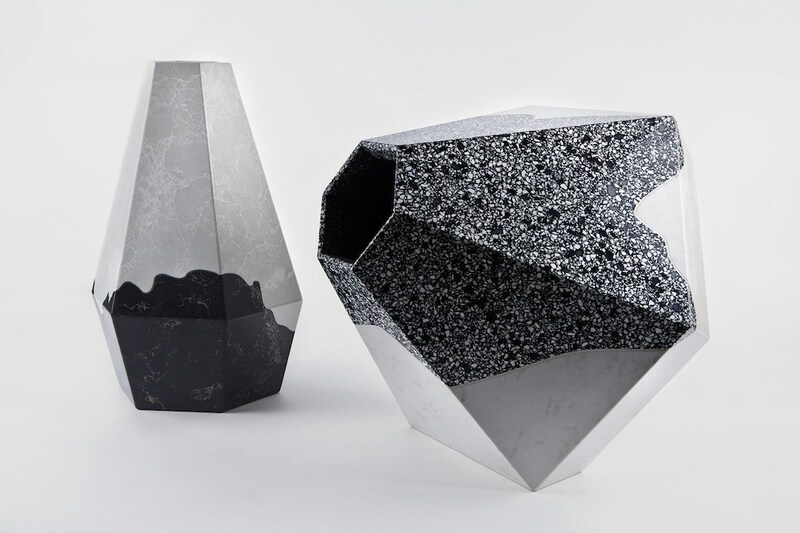 Arik Levy, Ivanka, gt2P and more launch a new trend for unbreakable design in Miami. 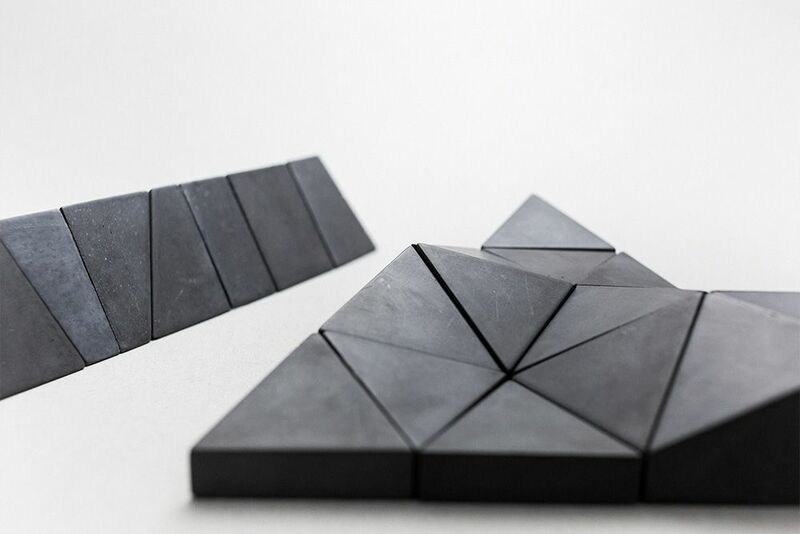 Heavy to lift, comfortable to sit on and great to look at. 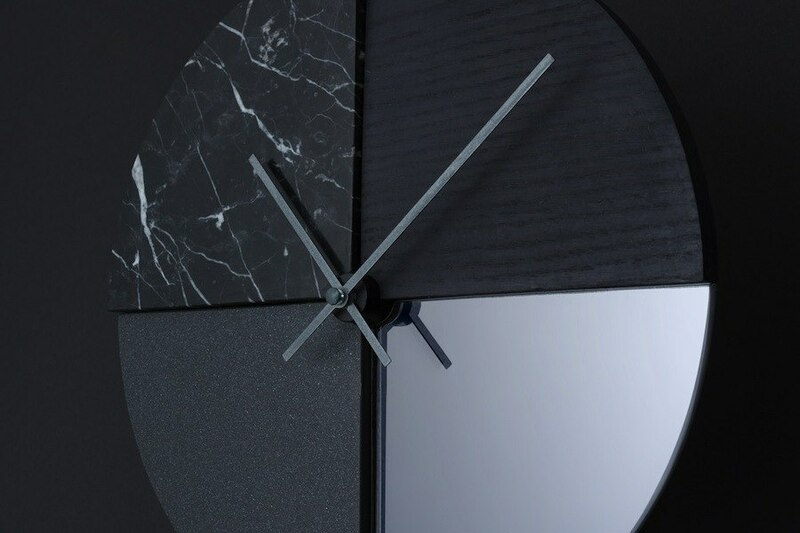 Time flowing, liquid marble, metallic waves and robotic-weaving. 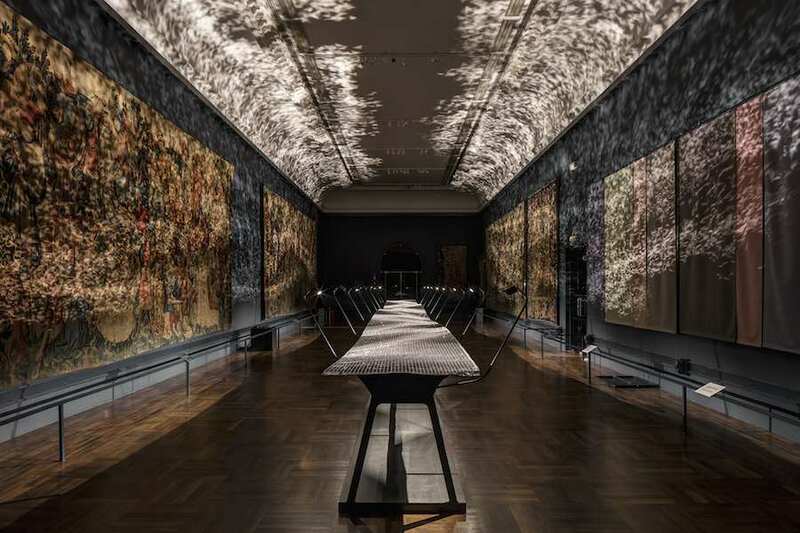 Four fluid installations take over Victoria & Albert Museum. 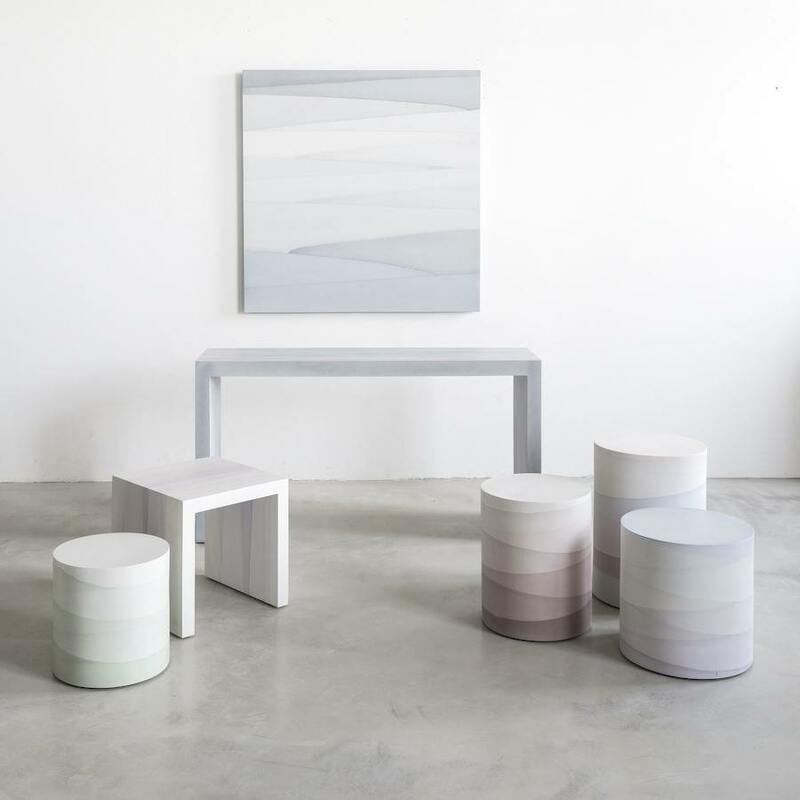 MMATERIAL new furniture collection by Fernando Mastrangelo combines pastel shaded design with minimalist geometries. 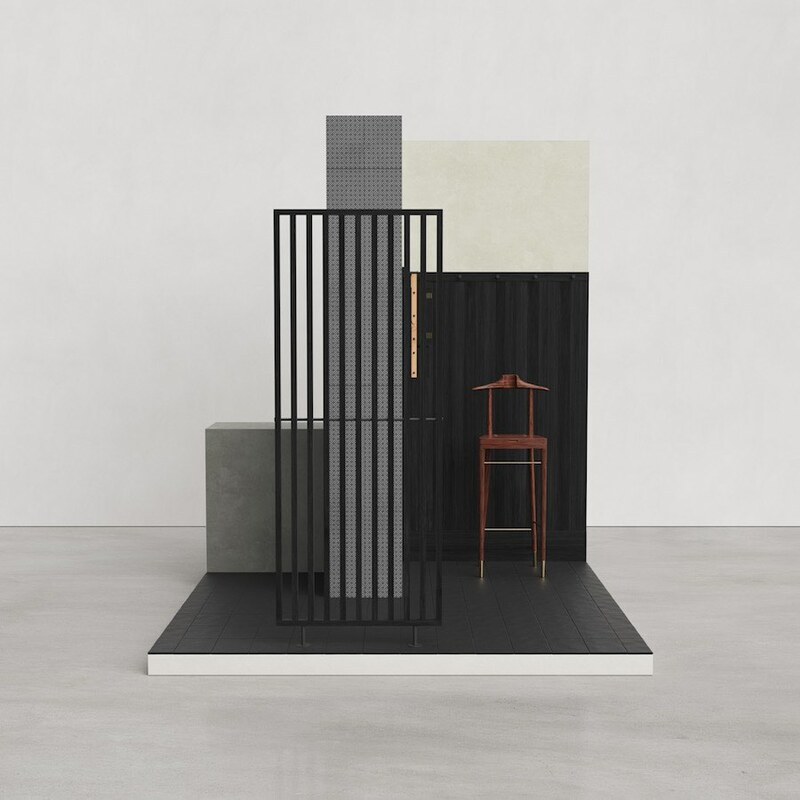 Black Gold design collection by Quintus Kropholler explores the unconventional beauty of asphalt and refers to the doom of petrol-driven society. 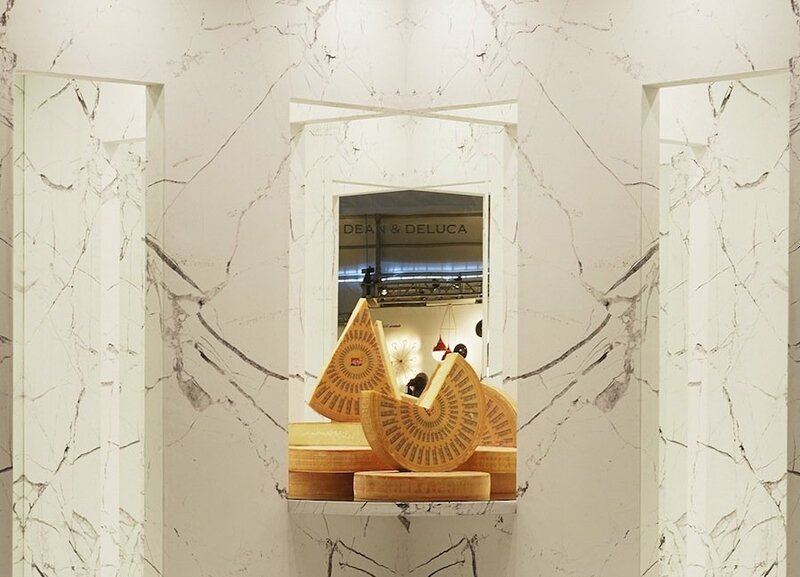 Dean & DeLuca presents the surrealistic CHEESE installation by Charlap Hyman & Andre Herrero who paid homage to the history of the iconic foodstore in NYC. 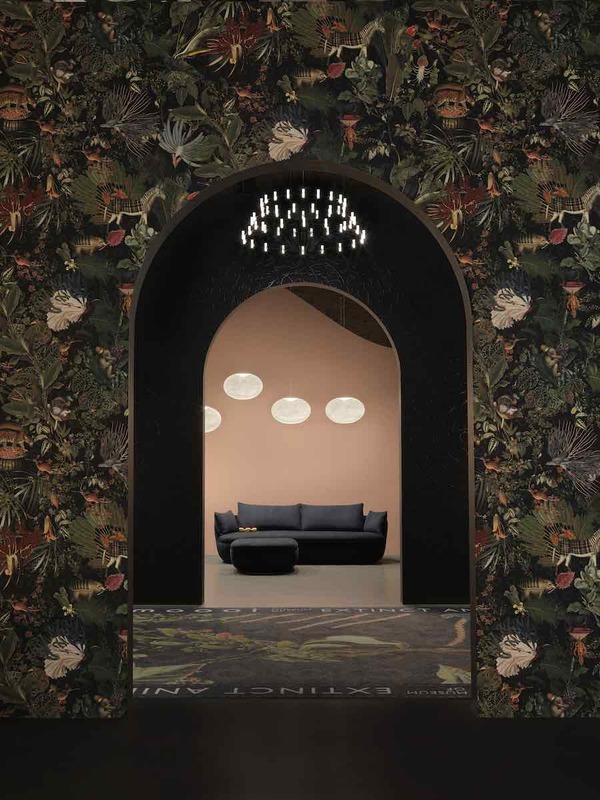 Ivanka reinterpreted Ottoman architecture patterns for Budapest historical bath that was extended and renovated to provide a stunning view on the Danube river. 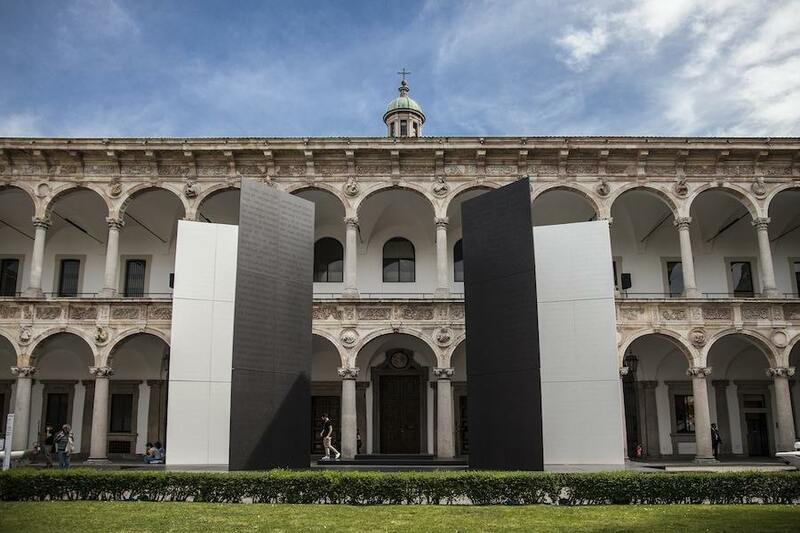 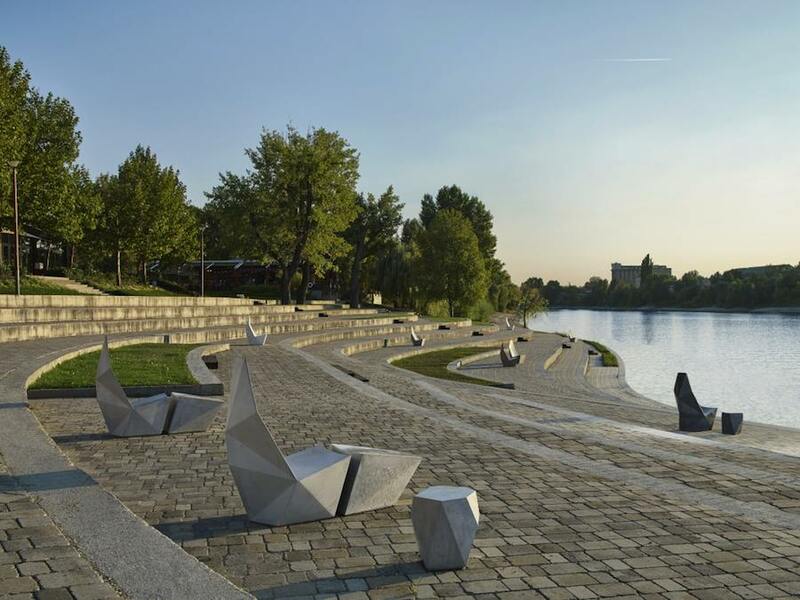 At Milan Design Week, high-tech surfaces brand Cosentino enhances the architecture and design performance of Dekton® material with Monica Förster studio’s tableware and outdoor lighting and a with a monolithic installation by Antonio Citterio and Patricia Viel. 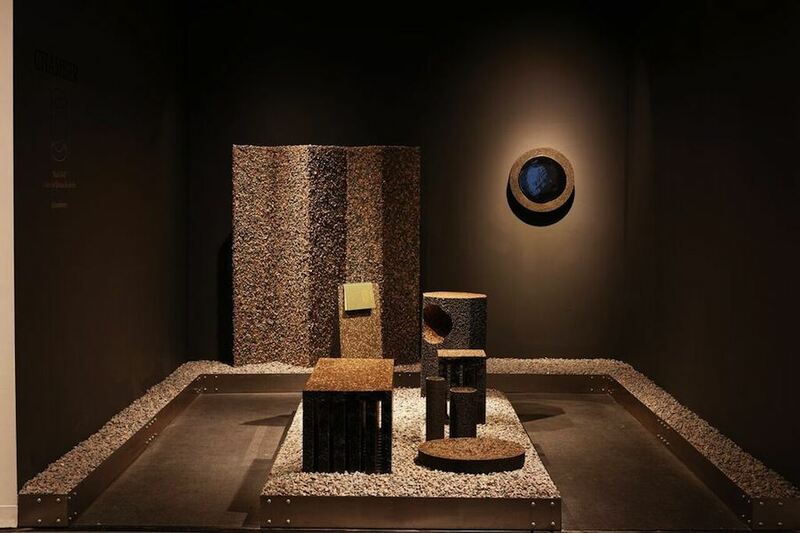 Cooperativa Panoràmica presents MONO, a furniture collection that creates a monochromatic camouflage puzzling different materials. 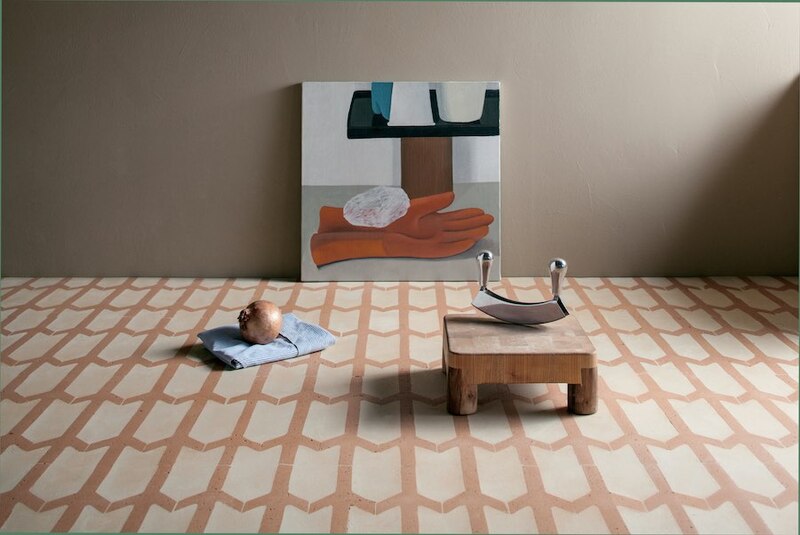 X-GON collection by DEFERRARI+MODESTI for Mirage features hexagonal porcelain tiles that can be studded into each-other or combined in countless combinations. 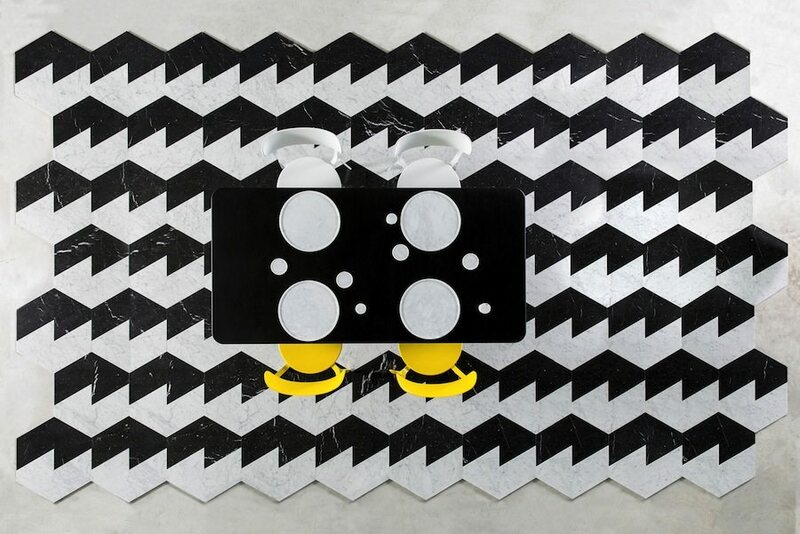 Embraced geometries and optical irreverence, exotic allure and oblique dynamism: Manuel Barbieri designed Scandola Marmi band-new flooring collections reinterpreting marble with a less statuary yet refined attitude.